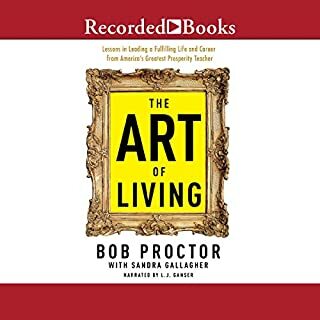 Zig Ziglar may be the master motivator, Mark Victor Hansen of Chicken Soup for the Soul the master storyteller; Anthony Robbins may be the guru of personal development, but Bob Proctor is the master thinker. When it comes to systematizing life, no one else can touch him. He is simply the best. Bob Proctor collects thoughts like Imelda Marcos used to collect shoes. He strings them together in exquisite arrays, one thought leading logically to the next until a whole method has been constructed. Loved it. Starting it over right now! The picture concept changed me forever. Wish I had come across this in my 20's. 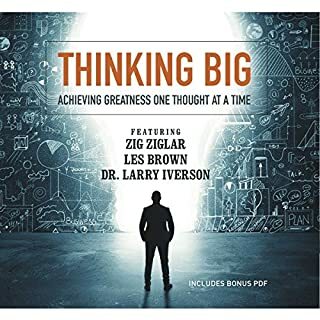 I have listened to this book 3 times through and certain sections countless times (from chapter 9 on I have lost count on how many repeat times I have listened). I am so excited to be able to pass the wisdom on to my children who are 2 and 4. When they are old enough to understand, they will be inundated with this book and the strategies taught. I got this believing it was the actual audiobook to You Were Born Rich. it isnt. 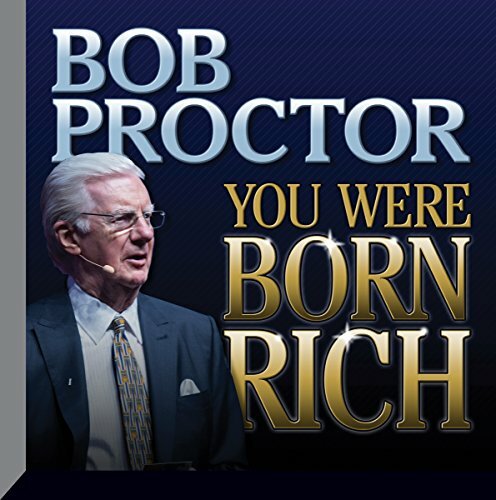 It is an audio edition of a You Were Born Rich seminar. The absence of the seminar workbook makes this audiobook almost worthless. Yes, there is good material presented. But without the visuals, it's value is diminished. the book was very engaging and I had no problem getting through it as I was irritated when I needed to step away from it to do other things. Because the book was read by the author it was lively and entertaining . 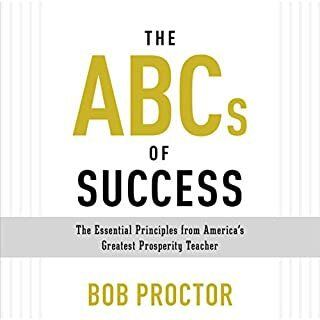 The lessons in this book are invaluable and I am so happy we have access to Bob Proctor, material. This has been life changing for me. Thank you, I couldn't ask for more for my few dollars spent on this . Not nearly as good as the original book written in the 1980s. Something was lost in all of the preacher like "live" presentation. This information should be taught in every school from grades k-12! A thorough understanding of this information should be required to graduate from high school! Absolutely the best! I listen to this every morning and I love it!!!! I feel like a new and improved person. The book is great! Bob gives amazing tips on how to change our old thinking. The explanations he shares about the smallest things in our ways are simple but wow. I am so doing the exercises he's advised. 1. Since the book was a live seminar, the notebook that attendees had wasn't provided as a downloadable PDF format. I was in the clouds when he referred to what pages to go and gave instructions on it. 2. The relaxation exercise could have used relaxation music on the background. I was at all times distracted at Bob's swallowing every time he spoke on this exercise, and his breathing sounds were just too weird. It didn't work for me. I even used headphones to concentrate better, but nothing. The instructions on it were a little inconsistent (room of images and going up in the elevator) and not very detailed for a beginner like me. Don't get me wrong, I loved everything else, but the relaxation exercise definitely NEEDS FO BE CHANGED. loved it ... I will never be the same again. I will continue to listen to it over and over until my change manifest. I especially love the end part, I truly feel my life is changing already. I definitely recommend this book to anyone want to change their way of being. really makes sense of how to change any aspect of your life that you're not happy with. highly recommended this for anyone, from any walk of life. Loved how Bob and John presented this seminar. amazing listen. So much energy. I learned a lot. Good understanding of what causes effects. If we were to follow his teachings, no telling where we might go to. Honestly do not waste your time or money on this. I couldnt bear this after 3 hours. First of all its not an audiobook but rather live recordings from seminars.The sound quality is terrible and the speakers are literally shouting the whole way through. Secondly this is another book peddling new age/occultic ideologies/beliefs. I wasnt looking for a 'religious' book just practical information. What you get instead is generalized ideas, pseudoscience, psuedo mathematics and stuff thats already been written by people like Brian Tracy and other followers of Madam Blavatsky (they all mention her at some point as the greatest mystic or whatever). What was actually insulting was the misquoting of bible scriptures and historical figures! At first I just thought it was a mistake here and there but after 8 misquotes and in particular misquoting EINSTEIN I concluded that this was deliberate. They know their audience and demographic will never search the origins of a quote even with google (Sorry if you are a typical western world male with very loose knowledge of other cultures and even the Bible) However Im the type of person who will go and look it up and make sure it was Socrates, Plato or Jesus who said it. For me it is as much about the character and integrity of the author as it is about the the content. So my conclusion is that they have an agenda and I wont be brainwashed. Bob Proctor what a spirit, he is amazing his partners and all speakers in this book will chanhe literaly your life. fantastic audio book and it's something I would keep on listening to. It is the kick start that you need. It's one of the best books around. He advices soo well and he makes you laugh too. I've listened to it a few times and anytime I listen to it again I hear something new. Bob is a great guy. Hope to meet him one day. Best Law of Attraction seminar ever! My favorite motivational high vibrational transformation seminar! Thank you Bob! Would you listen to You Were Born Rich again? Why? Yes but I would start it at Chapter 5. Prior to this I zoned out a lot because there were too many in depth explanations of the processes and I was waiting for it to get to the "real stuff". I think even for someone who knows nothing about the power of the mind it would be a tough slog. At Chapter 5 it started to get interesting. 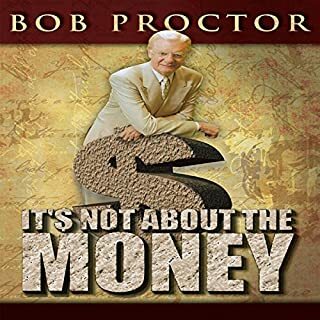 If you’ve listened to books by Bob Proctor before, how does this one compare? 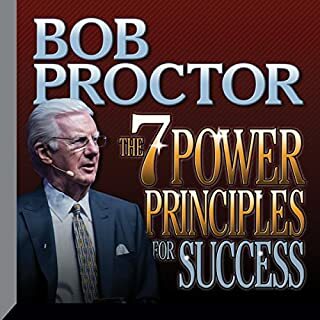 Haven't listened to any of Bob Proctor's works but am interested enough to listen to something else. Which character – as performed by Bob Proctor – was your favourite? It really reinforced the importance of having a good self image. It reinforced everything that I already know but did half heartedly. The way the information was presented put a more important slant on things. They presented like evangelists from the pulpit and were very loud in their delivery. Listening to it in the car I had to turn up the volume because of the road noise then when stopped in traffic had to turn it down again. I loved the stories and case studies, although sometimes wonder if they all happened as told. I could imagine someone else not believing that the results were possible. It did make me excited about my own possibilities though and there are a couple of things I want to try out now. Yes as there is a lot of material. So powerful, this is one to go back over from time to time. Love this and I recommend every one to listen to it. Took a bit to get into it but then couldn't put it down. For sure my number 1 pick of go to's for life. 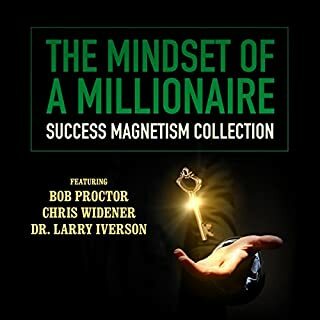 I love Bob Proctor and listening to this audiobook was extremely inspirational! When you purchase the audiobook you will also receive the PDF workbook for You Were Born Rich! loved every minute of this practical material and will now be implementing the fantastic tools. 10 out of 10 - I will listen to chapters 11 & 12 over and overt until these principals are engrained! Thank you Bob Proctor for totally changing my life and putting me on a much more conscious path of personal development then ever before as this program has made an impact on my experience that is far too huge to overstate. No fluff - just timeless tips for prosperity. Bob Proctor at his best. Love it.